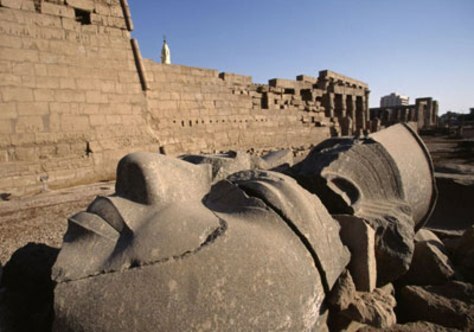 The Luxor in Egypt is home to some of the greatest wonders of ancient Egypt. Unfortuntately, as more people moved into the area, water levels have risen. Since the temples are made of porous stone, the water gets absorbed and leaves behind salt, which crystallizes and causes the decorated surfaces of the temples to evaporate.